In a neuromajority culture, being gifted or twice-exceptional provides a hundred opportunities every day for feeling like one’s authentic self isn’t “right”. It takes courage and hard work to find a way to bridge one’s authentic expression and inner sense of integrity with the external world in contexts that don’t match us well. 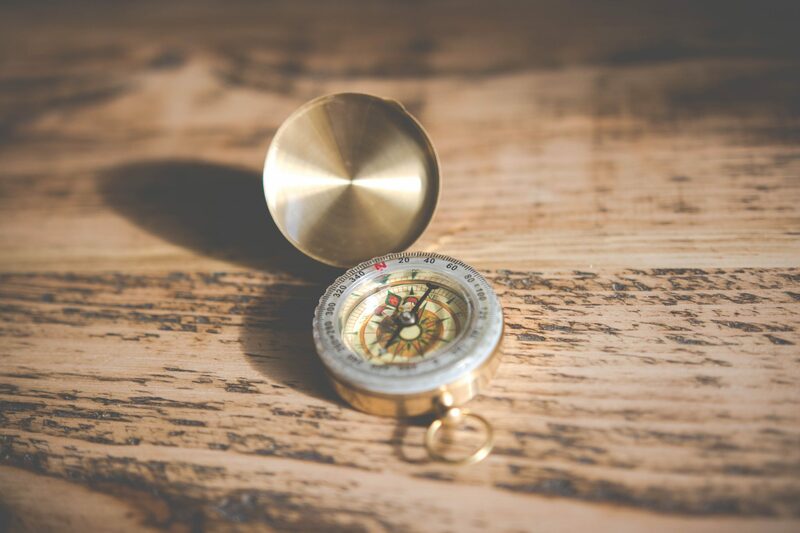 In this article, InterGifted coach and mentor - and founder of InterGifted's Partner Project Intrepid Integrity - Silver Huang shares her long journey toward that goal as a gifted and autistic person, and provides insight for us on how we can cultivate authenticity in our own lives. 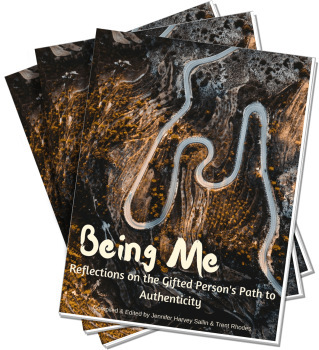 This article and Silver's work served as inspiration for our community writing and creative expression project called Being Me: Reflections on the Gifted Person's Path to Authenticity. Now available for purchase in our InterGifted bookshop! As child, I got into trouble for being too energetic, too loud, too talkative, too inquisitive, too sensitive—too uninhibited and overwhelming. I lacked the knowledge to realise that I was just being and doing what any gifted, autistic child naturally would, and falsely concluded that there was something wrong with me. The unnatural strain from what I was doing to try to force myself to fit in to be loved consumed me as I grew into my teens. The fact that no matter how hard I tried, it didn't work, caused me to start to develop a true sense of hatred for myself, and eventually even for humanity. I grew bitter, jaded, morose, cynical, aggressive and uncontrollable. By the time I was 18, I belligerently embraced the label of dysfunctional rebel I was typecast as. I approached adulthood with deep dread. Being a versatile “multipotentialite”, the thought of being set loose to flounder in a world where I was expected to choose, be and do “a thing” for the rest of my life was a nightmare! Lacking relevant social modelling, support or guidance as a young gifted autistic woman, I had no idea who or what I wanted to be or do. I jumped at random job opportunities, qualified or not, and flew by the seat of my pants, but I rarely survived six months before I would quit from the simultaneous boredom and stress of repressing my creatively problem-solving self into a docile cog in order to avoid stepping on egos or challenge status quos! I spent the next decade dedicating myself to answering these existential questions. I poured millions of words into my journals and whatever money I could into personal development and business coaching. I hacked my own cognitive behavioural methodologies to increase self awareness, and eventually devised a cyclical methodology I referred to as “explore, experiment, express and experience.” I explored different identities, personalities, passions and motivations in my private personal development practices. Then I used my businesses and social media to experiment with and express those test-identities/passions/motivations for long-term fit and sustainability. I would then reflect upon my experiences in my private practice and apply my insights in the next cycle. The psychologist who had diagnosed my autism had suggested at that time that I was probably gifted, but I had rejected that part of her assessment. 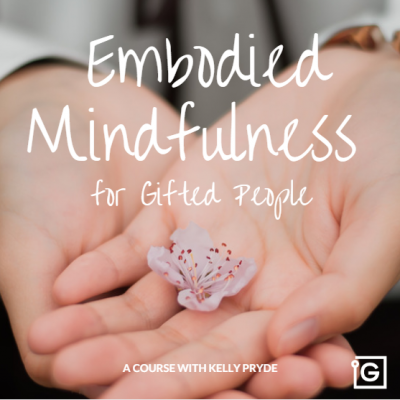 I had struggled so much in my life, and I knew so little on the subject, that I had no context for accepting “giftedness” as being part of who I was. 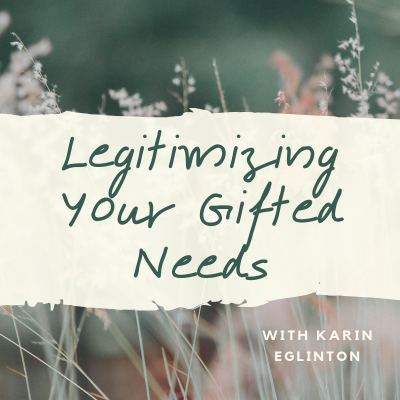 It was only three years later when a friend suggested I look into giftedness again that suddenly, it became obvious that indeed, the psychologist had been right. I was gifted, I just hadn't previously been able to see myself as such due to the struggles I had had for so long. 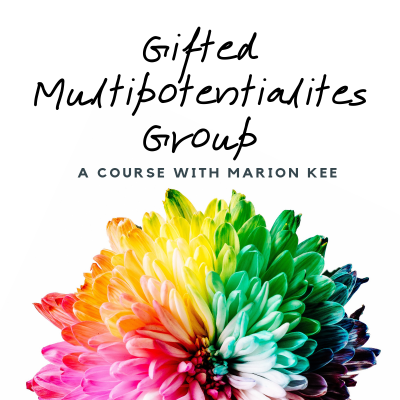 By the time I found InterGifted, I had by then done enough self-development work to be able to finally recognize myself as a gifted adult. With that recognition, I was bombarded with new information and contexts with which to reframe so many of my previous life experiences. The clues and patterns I had accrued over my years of self work rapidly began to make sense and like magic, the puzzle pieces of "me" started snapping into place with startling gravity and clarity. Giftedness was the final and most crucial piece of my puzzle because my giftedness, more so than my autism, shapes how I perceive and experience every dimension of life, from cognitive function and emotional responses to the values and motivations that drive me — the basis of everything that made me different from “everyone else” my whole life. I came to the vivid realisation that I had never been “wrong” as a person — I had simply been using ill-fitting social and cultural contexts of the non-gifted neuromajority to evaluate myself as compared to the norm. I’d been modelling myself after the wrong neurosocial tribe, turning to the wrong tribes for validation and affirmation, and judging everything about myself as “wrong” using invalid social data and contexts. Instead of being “wrong” or “bad”, I am just different — a member of a perfectly natural neurominority that is an expression of the natural diversity of the human species. This realisation led me to an epiphany: “No one is stopping me from being me but me.” I was inspired by this premise and resolved to test it, and what started out as an experiment soon metamorphosed into the apex of my journey to my authentic self. Authenticity and integrity, therefore, literally mean being and expressing one’s untouched, original and genuine self on one’s own authority. Therefore, I see integrity as an internal experience, and authenticity as the external expression — two halves of the same whole of being. Authenticity is how we choose to express our experience of integrity within. The road to rediscover and reconnect with my authentic self came with many hurdles. Here is some of the hard-earned wisdom I've learned on the road. We can only seek integrity and authenticity as an act of self love and self care. We can only do this for ourselves. We can’t seek integrity or authenticity for the benefit or satisfaction of anyone else but ourselves, and we are bound to fail if we attempt to be authentic in order to induce a certain response or reaction in others. We have to take responsibility for our own experiences and expression. The road to integrity and authenticity begins with accepting responsibility for what we can change, and moving on from what we can’t. I've learned that if I wait for the neuromajority to change or give me permission to be and express who I am, I may wait forever; so it's up to me to give myself the permission! We must be ready to welcome uncertainty and vulnerability as part of the process. We must risk the discomfort of not knowing what we will discover through our explorations and experimentation. I've had to accept that the process is not always what I want to see but sometimes what I need to face. We have to be willing to invest time and effort, stacks of it. We are who we are today due to countless iterations of conditioning from the neurosocial majority. Unconscious as these patterns may be, we have invested years into their making. Deliberate investment in equal measure is needed to undo them. We must cull toxic and unsupportive influences from our lives. We must be courageous enough to enforce firm boundaries between ourselves and those who fear or actively try to repress our authentic gifted expression. If not, we will find ourselves taking two steps back for every step we make. We must create or join a warm, safe space with support from gifted peers and mentors. A nurturing space shared with fellow gifted peers and mentors dedicated to the same process of rediscovery and reconnection with integrity and authenticity is essential for staying on the journey through thick and thin. I always wondered how I would know if or when I had succeeded with my authenticity quest. After all, integrity and authenticity seemed like such intangible goals and outcomes. Turns out, the characteristics of integrity and authenticity are unmistakably verifiable mental and emotional states that cannot be forced or faked. Here's what I've experienced and what you can look forward to as a result of your own work on the journey. You will no longer experience stress over who, what or how to be in any moment. Instead, you feel confident and free to choose whoever or whatever it is you desire to experience and express in the moment, and feel calm and unperturbed about the inevitable faux pas that happen as the result of being a neurominority. You will no longer take your difference personally, nor people’s inability to accept you. As you derive more and more security and fulfillment from being and expressing your authentic self, you lose interest in people and events that criticise or ostracise you and instead amplify your joy by focusing on quality relationships. Giftedness is no longer a bane nor a burden. You will no longer feel defensive, antagonistic, inferior or superior to the neuromajority. You no longer fear criticism nor ostracism but by the same token, you no longer feel the need to be defensive, to explain, to be antagonistic, or to see yourself as inferior or superior to the neuromajority. Instead, you express yourself confidently yet considerately. You will no longer fear nor resent reasonable social adaptations. You no longer view reasonable social adaptations as a personal attack on your integrity and authenticity. Instead, you consider learning how to better relate to others as a way to create and experience more harmonious, effective and diverse relationships. You will finally feel free to be, do and create whatever you aspire to. You no longer feel drained nor trapped by a lifetime of fear, anger, resentment and blame, and as a result, you no longer self-sabotage and block yourself at every turn. You are able to finally channel all your resources toward creating a healthy and fulfilling experience and expression of your authentic gifted self through work, play and meaningful connection with others. How to connect with other authentic gifted people can be a challenge, and it's a challenge that takes courage on all our parts! If we are zebras living amongst giraffes, we can’t expect other zebras to find us if we’re disguising ourselves with brown and yellow patches to blend in with the crowd. If we want to find and attract other zebras, we need to wear our black and white stripes loud and proud! We are a statistically rare percentage of the human population. We are hard enough to find as it is, but if we each are actively hiding who we are, if we are feeling incapable or unworthy of authentic expression, or worse, not even able to know ourselves authentically in the first place, that reduces our chances of connecting with and supporting one another one-thousand-fold. We need gifted people who give of their authentic selves and so are recognizable to us — we need their modeling, inspiration, creations, and pathos, for current and future generations. And we can be that for other gifted people in the world too, by having the courage and honesty to accept and love, experience and express, be, do and share who and what we are. With the generous support of Jennifer Harvey Sallin and InterGifted, I have been channeling everything I’ve learnt about the gifted person's journey toward authenticity and integrity into the project now known as Intrepid Integrity. Intrepid Integrity is an "authenticity incubator" for gifted adults, meaning that it is a platform that provides gifted adults the space to explore, experiment with, express and experience who and what they are and aspire to be using creative practice as the means to reflect, rediscover and reconnect with their authentic selves. My aim and passion is to help gifted adults to realise they can create and experience life from an inherent source of integrity, as well as express their intensely and complexly sensitive and versatile n-dimensional selves authentically with the world — boldly and joyfully. Our next launch date is set for November 5, 2018. Join me for the 12-week intensive program with a private community and platform, weekly group coaching calls, and hands-on creative expression and step-by-step guidance. It's limited to the first 12 members who join, and spaces will fill up fast. Go to www.intrepidintegrity.com to sign up or email me directly to join. If you have questions about the program and your fit for the program, schedule a free 45-minute exploratory chat with me, or join one of my Facebook Live Q&A's by liking and following my Intrepid Integrity Facebook page. If the program isn't right for you at this time, I can suggest other steps toward your own authentic personal development, such as coaching or mentoring, or our community in InterGifted. However I can be of support, let me know; I look forward to meeting you and accompanying you on your authenticity journey! Silver is an InterGifted coach and mentor who works with gifted adults to support them on their journey toward authenticity; she also provides giftedness assessments for gifted adults wanting to understand their unique cognitive profile. 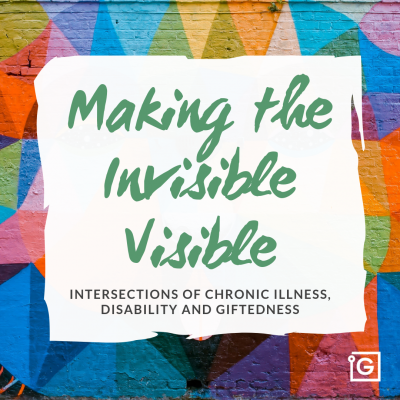 She is the founder of Intrepid Integrity, a partner project of InterGifted, which is aimed at helping gifted adults express themselves authentically through creative means in community. Feel free to reach out!